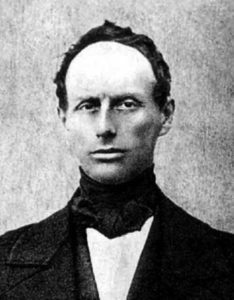 November 29 is Christian Andreas Doppler’s birthday. Doppler was an Austrian physicist best known for the Doppler effect. Doppler wrote in a paper titled “On the Colored Light of Double Stars and Certain Other Stars of the Heavens” an explanation for the apparent color change of the frequencies of light from stars. He explained how the change in frequency was due to the relative motion of the source and the observer. The easiest demonstration of the Doppler effect uses sound waves. When a noise approaches a stationary observer, the pitch of the sound (the frequency) increases. As the source passes, the pitch decreases as it speeds away from the observer. This effect applies to all forms of waves, including light. Stars are all made up of mostly hydrogen and spectral analysis shows this to be true, but the spectral lines are moved uniformly towards the red end of the spectrum or lower frequencies. This suggests the stars are moving away from our solar system and is part of the evidence that the universe is expanding. 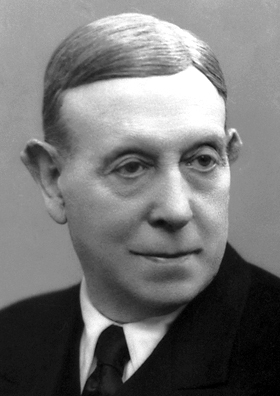 1874 – António Caetano de Abreu Freire Egas Moniz was born. Egas Moniz was a Portuguese neurologist who was awarded half the 1949 Nobel Prize in Medicine for the discovery of the therapeutic effects of leucotomy for certain psychoses. A leucotomy is also known as a lobotomy which is a surgical procedure where the connections between the prefrontal cortex and anterior of the frontal lobes of the brain are severed. Moniz developed the technique as an attempt to treat severe mental illnesses. 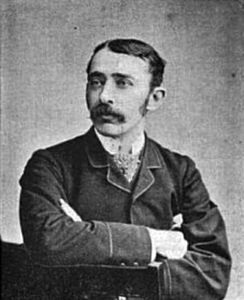 1849 – John Ambrose Fleming was born. Fleming was an English electrical engineer who was the inventor of the thermionic valve vacuum tube as an electronic device. The device functioned as a diode used as a rectifier to convert AC current into DC current. Fleming’s diodes were used in early radio receivers and radar systems before the invention of solid-state semiconductors. He was also the originator of the familiar “right-hand rule” salute used by mathematicians and physicists to determine the direction of vectors that are multiplied together. You take your flat right hand and point the fingers towards the first vector, close your fingers towards the second vector and the direction your thumb points to the resulting direction. Go to any electricity and magnetism classroom and watch the number of students performing this salute and think of John Ambrose Fleming. 1803 – Christian Andreas Doppler was born.